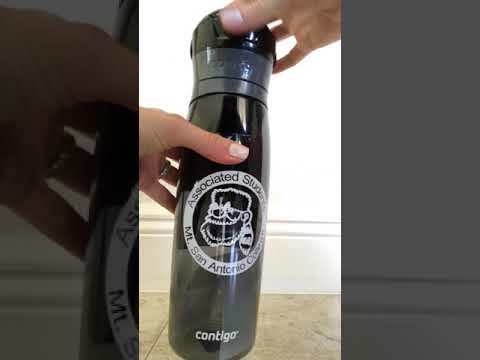 Home > Drinkware > Custom Water Bottles > Kangaroo Bottle - 24 oz. The custom imprinted Kangaroo Bottle by Contigo® is going to be a gym-goer's best friend. Rather than toting around a bulky bottle and forcibly keeping your ID, money or credit cards out in the open, this sleek bottle has a built-in storage compartment for storing these items. Your clients will never leave their home or office without this bottle again. Kangaroo Bottle - 24 oz.